If you bought a new iPhone this fall, we have some good news to share: Apple pushed out an update to all users today that fixes two of the more frustrating issues that have plagued iPhone XS and XS Max owners. If you’ve encountered charging or connectivity issues, you’ll want to update your iPhone to iOS 12.0.1 now. 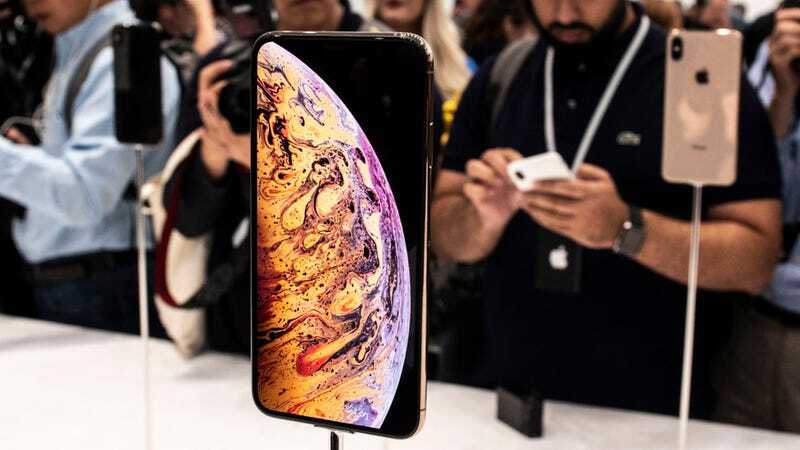 Apple says iOS 12.0.1 “fixes an issue where some iPhone XS devices did not immediately charge when connected to a Lightning cable.” Apple first addressed the new iPhone’s charging issues (Chargegate) in a beta release of iOS 12.1. The broader release of 12.1 is still on the way, and it will include some fancy new emoji when it lands. But for now, Apple says the iOS 12.0.1 update should also fix “an issue that could cause iPhone XS devices to rejoin a Wi-Fi network at 2.4 GHz instead of 5GHz.” That may account for some of the connectivity and speed issues that iPhone XS and XS Max owners have reported. Other changes described in Apple’s update notes include a fix for missing subtitles in “some video apps,” and a fix for “unavailable” Bluetooth, although neither of those problems have garnered as much attention as the two above. To grab the latest updates, head to your devices settings menu, tap General, and then select Software Update.